Macy listened to North as he finally stopped running. "How's your leg doing? You know, after that cut it had?" She knew a Celete healed it, but she still wanted to make sure it healed. North looked over his shoulder and saw Macy. His tail wagged and he smiled. "Much better, thanks Macy. A scar might be there, but hopefully it won't be permanent." He said, then looked down at his right leg. Yep, there was a scar there all right. It didn't bother him too much, and he thought it gave him a 'tougher' appearance. "We'll that's good. At least it isn't as big as it was!" She wagged her tail, and looked around at all the members, and new she had two ceremonies to do tonight; Proti and Mate. "Yeah, that is true! Tis getting smaller and that be a good thing." North said, in a playful, yet weird grammar way. He smiled at Macy. He hadn't really had a good conversation with her in a while. That should change. Could he still have some feelings for her? Like he did a while back? Macy laughed, then looked at his wound. It wasn't long until she returned her gaze back up to him. "Haven't talked in quite a while, what have you been up to?" She knew she hasn't been up to anything herself. "Just trying to meet new members. We are getting them all the time!" North said. He liked meeting new wolves. Just at this rate, it will take him years to meet all the newbies. Macy smiled. "Ha, that is true. I can't even keep up with them all. They are coming in pretty quick aren't they?" She wagged her tail, and continued to watch the members. North nodded. He smiled at the Doyen. He yawned, then sighed. He still had loads of energy, but didn't know what to do with it. His eyes scanned the area, as he looked for some entertainment. "So, you wanna go do something. I assume both of us are pretty bored right now. So, lets do something!" She wagged her tail and stood up, waiting for a reply. North could see the excitement in her. So, he got excited as well. "Sure! Want to go run in a bunch of circles!? How about a hike?" he suggested. But he was open for anything. He sat down and waited for an answer. "Sounds good to me!" 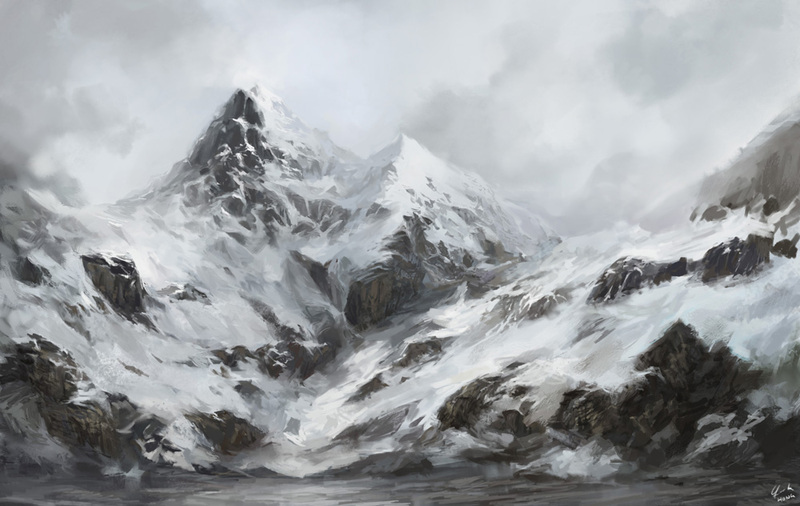 The female began to making her way over to a different mountain, one without rocks, that was just a steep hill. She began to trudge along, walking through the thick forest. North smiled and followed Macy. They were heading away from rocks. The male took a huge sigh of relief. He hated mountains with rocks. The forest was really pretty in the winter. He hoped it would look pretty in the spring as well. The long slender scrape that Shin had gained the previous day began to burn again as the wind blew against it. It had stopped bleeding, yet the pain stayed the same. He grunted, feeling terribly bored as he sat alone. His conversation with Siren hadn't brought much 'fun' to Shin's day, and made is desire an activity even more. Even though Shin preferred physical activity over verbal, he could settle for a conversation. Ken smiled to Sharon and said, "Yes I agree its good to have more members.." He looked around and spotted the dire hybrid(Shin) he had yet to meet. 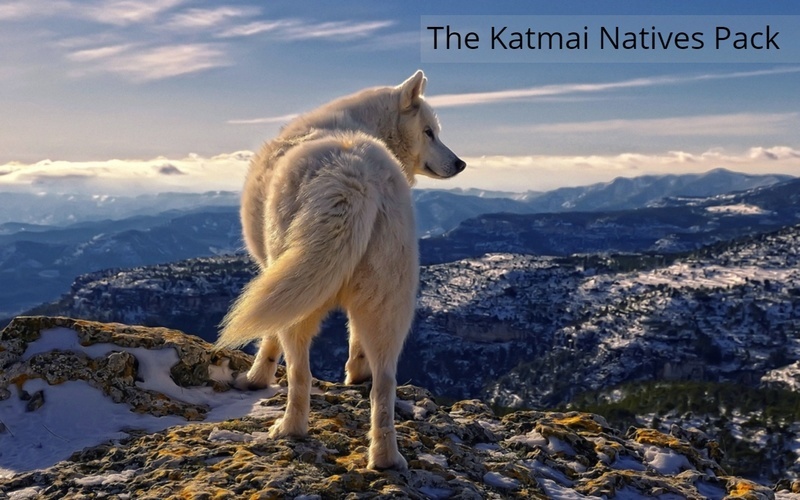 Ken has seen this male around before and knew this male was an important member of the pack. He sighed quietly and looked to Sharon whispering to her, "I'm going to go to one of the members, you can come join me if you want." He licked her cheeks and padded over to the cyan eyed male (Shin), "Hello I noticed we haven't formally met yet, I'm Kendrick." Macy smiled and continued to walk through the dense forest, looking back to make sure North was behind her. She saw a small den, and thought that it was a old bear one. "Hmm, I wonder what's inside." With her curiosity coming over her, she walked towards it. Hearing the voice of a male, Shin turned around to see a wolf who was Kendrick. "Hello, Kendrick, I'm Shin." he said, nodding respectfully. "It's nice to finally meet you." he voiced, a bit more enthusiastically. Hearing the male say his name, Ken kindly smiled to him. "Its nice to finally meet you too Shin... I'm sorry if my introduction was late" said Ken, his emerald orbs glimmered, expressing his happiness. Looking around, he saw Sharon still looking around at the other wolves he gave off a small sigh and turned his attention back to Shin, "So.. How have you been lately?" questioned Ken. He could not stifle his groan as he rolled over, his shoulders colliding gingerly with the icy stone beneath him. Siren was a beast. He was masculine, huge, and distant. Though, none had fleed when he'd demanded explaination. And now, deep within his newly bred pack, the wolf lounged. He was not sleepy, not anymore, and wanted to speak with someone. With whom, he did not know. "That's quite alright." he said with a chuckle. Seeing Kendrick look back at Sharon, Shin couldn't help but ask about them. "For what I've noticed, you and Sharon have something going on, am I correct?" Shin already knew the answer for the previous night he over heard he and the female were to be mated. Giving a warm smile he then responded to the male's question, "I've been well, bored out of my mind, but well." Hearing the question of Shin, Ken was beginning to blush, so the brute awkwardly looked down at his pads and said, "Yes." Wanting to hide his blushie(made that word up) face, his lobes flicked to a soft groaning sound. Ken looked towards the sound and saw Siren the Doyen Male, he hadn't seen the male for awhile. When he heard Shin's reply, Ken gazed back to the male and said, "Oh thats good, not the bored out of your minds part but the well part." North saw the old looking den and followed Macy. He sniffed around it and he had a funny feeling about it, but wanted to go inside. "Not sure, let's check it out." he said. North was slightly scared, but his curiosity was overpowering his fright. 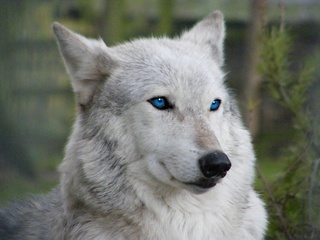 Aaka walked through the crowd of wolves, quite content with her situation. She walked very close to the large wolf, of whom she had heard them call Siren,and that had thrown her towards Lennon. She was slightly scared, but thought his company was better than none. She stepped forward, "Hello." She squeaked. Macy nodded and followed him towards the abandoned den. Walking half way inside it, she examined it, and saw nothing inside. "Seems as if it's abandoned, I wonder what did live here though." She tilted her head, and backed off so North could get a view. Chelsea's tail twicthed occasionally, along with one of her ears every so often. She felt like hunting.. Or wrestling maybe? She grinned as she spotted Siren rolled over. Perfect oppurtunity.. her sharp teeth gleamed. Keeping her body close to the floor, the female slowly stalked ahead, making slow movements as to not look as supicious. Her bright eyes kept their gaze on the big male. She new the only advantage she had was speed, so once she pounced, Chelsea had to keep her movements quick and fast. Or else he would catch her. Her body pumped with adrenaline as she grew closer... And closer... And pounced on Siren, letting out a light laugh. "Victory!" she barked. Not again! He was pulverized yet again by another member, him squirming beneath her. "Watch it!" He growled, flipping out from under Chelsea. 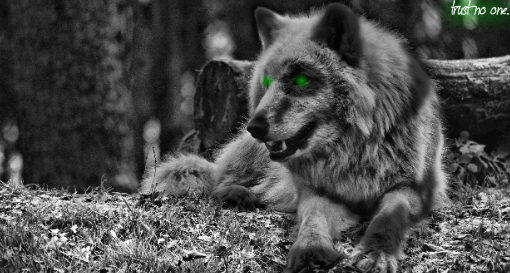 With a quick shake of his fur, Siren glared down at the female, amusement gleaming in his green eyes. "Well, well, well.." he started, peeling back his maw in mock. He stepped closer, thick toenails tapping menacingly on the rock. He had his ears flattened to his skull, and he snarled again, a froth flinging from his lip. Siren looked satanic, but he was only offering a playful gesture.